NL batting leader Christian Yelich went 0 for 4 with a bases-loaded walk for Milwaukee. 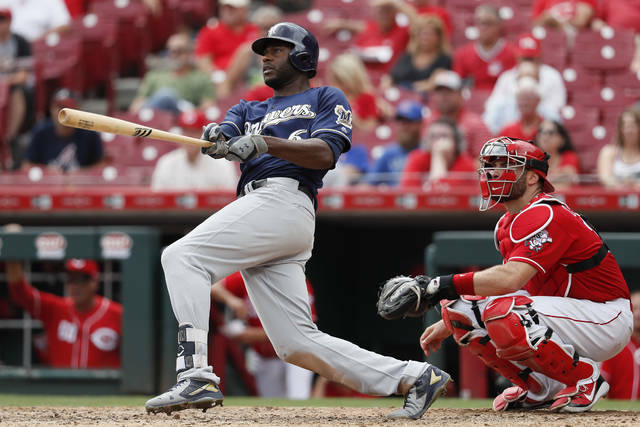 On Wednesday night, he went 6 for 6 and hit for the cycle as the Brewers outlasted Cincinnati 13-12 in 10 innings. That’s 21 innings in less than 24 hours. “Last night I was told around 1 (a.m.) I’m coming up. I didn’t get much sleep driving here from Columbus. I was pretty jacked up in the moment. It kind of sped up on me. My blood pressure went out the roof. It was pretty crazy,” he said. 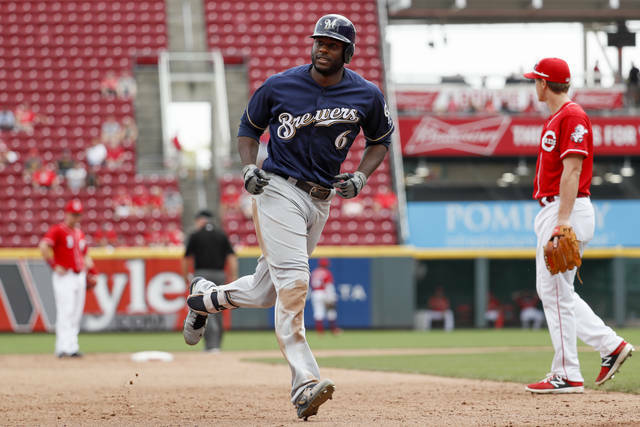 Milwaukee has homered in 22 straight games at Great American Ball Park streak. It’s the longest streak by any team at the stadium, including the Reds. 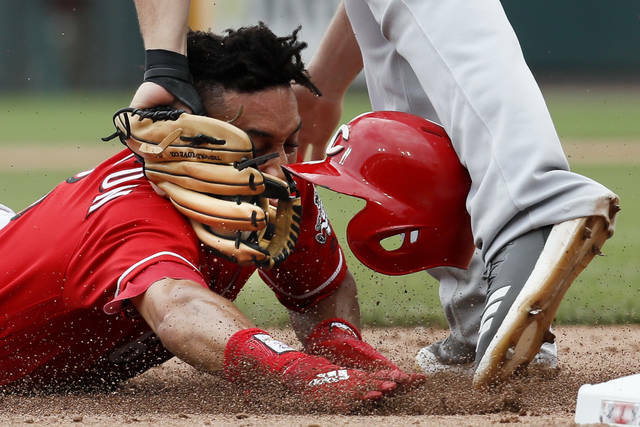 Milwaukee left-hander Wade Miley allowed two hits and a walk in six innings before the Reds broke through in the seventh on Phillip Ervin’s one-out single and Dilson Herrera’s two-out double into the left field corner. Ervin’s safe slide across the plate survived Milwaukee’s challenge. Needing bullpen help after two draining games, the Brewers recalled RHP Jacob Barnes and promoted RHP Aaron Brooks from Triple-A Colorado Springs before Thursday’s game. RHP Freddy Peralta and Taylor Williams were optioned to Colorado Springs and RHP Ariel Hernandez was designated for assignment. Reds first baseman Joey Votto went 0 for 5 in his first game since Aug. 15. He’d been on disabled list with a bruised right knee. Reds: Homer Bailey (1-12) is 1-10 in 11 career starts at Busch Stadium going into Friday’s series opener at St. Louis.